It all started with my father’s secret BBQ sauce recipe. He was reluctant to share it, but I knew I wanted to use that sauce as the foundation for a business. When he finally gave it to me, I began experimenting in a commercial kitchen to add my own zing to the flavor. 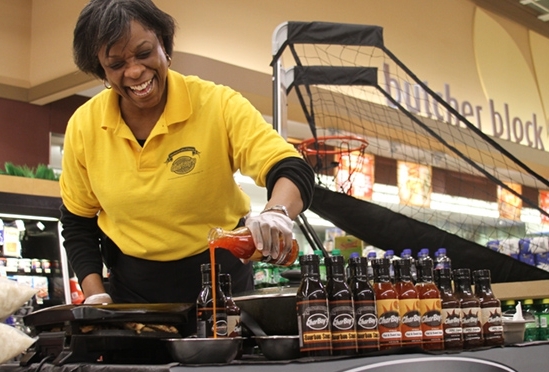 When it was ready, I developed my business plan and a logo and started doing taste demonstrations in local grocery stores. I needed an infusion of capital to get to the next level. Sales grew little by little, but I needed an infusion of capital to get to the next level of production. Even with a couple of years of solid sales, no banker wanted to talk with me. But at Accion the loan process was straightforward. Now I have a whole line of sauces available in 200 stores like Mariano’s and Pete’s Fresh Markets, and Jewel stores. My dad is blown away by my success.